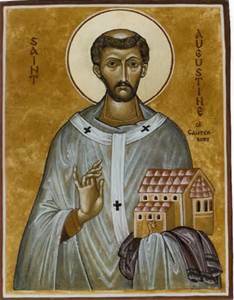 St. Augustine of Hippo lived in a Roman-occupied province of Africa during the fourth century. His mother, Monica was a devout Christian, while his father was pagan, but had a deathbed conversion. Both of these heritages led to both his downfall and his redemption. He adopted many pagan beliefs and blended them with Christianity, even at the tender age of eleven. He said in his Confessions that he once stole fruit not because he was hungry, but “because it was permitted”. This slowly led him down the path of sin, into a pit that he had a hard time climbing out of. At the age 0f 19, he began an affair with a woman in Carthage and even had a child out of wedlock. During this time, his mother tried desperately to lead him back to the faith, and it was not until he turned 31 that he finally converted to Christianity. 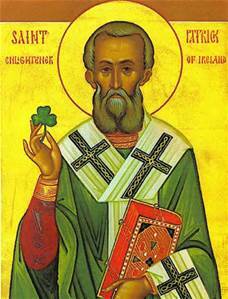 Every March 17th, many cities and churches celebrate St. Patrick’s Day. Celebrants wear green, parades are held, and bars often serve green-colored beer. Shamrocks are often seen decorating people’s houses or clothes. But who was this St. Patrick? Why is he such a beloved figure? Patrick was actually originally from Great Britain. He was kidnapped by Irish pirates and taken into slavery. After six years, he escaped and returned home, only to return to Ireland as a missionary. He was not protected by the rulers of Ireland and was even beaten and robbed on one occasion. And yet this did not deter his mission. There are many legends associated with Patrick. One attributes the fact that Ireland doesn’t have snakes to him “driving them all out”. In reality, snakes have never even lived in Ireland, even before Patrick began his mission. When I went to college at Nicholls State University in Thibodaux, Louisiana, there was a Catholic church on campus named after St. Thomas Aquinas. I wanted to know just why this particular saint was chosen. I decided to read up on him and I found that this man was an eloquent writer. It’s fitting that a college campus would name a church after him, as his most well-known writing, the Summa Theologica, has a scholarly feel to it. 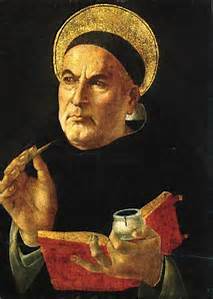 St. Thomas Aquinas was born in 1225 to a wealthy family. 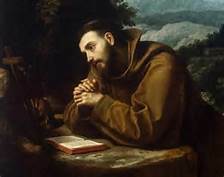 Yet like many saints born from a wealthy family, he would eventually disparage his station and gave it all up for God. He wanted to learn as much about God as possible, after having learned about the philosophy of Aristotle in Naples. His studies led him to become a monk and later to his writings. St. Thomas Aquinas’s Summa Theologica was written in a question/answer format and dealt with many topics that are still explored today. My personal favorite is the Five Proofs for God’s Existence, which I will illustrate below. Every movement cannot occur on its own. It needs a force to act upon it. However, in order for all movement to occur, a force that does not require movement must exist. That force is what Aquinas dubbed the “prime mover”, which is God. This argument ties directly into the second argument. Every finite being can only exist within a specific time and place. However, a finite being implies that there are beings that are infinite. That infinite being is God, who exists outside of time. This time in my latest installment of My Favorite Saints, I am spotlighting Mary Magdalene, a woman who was one of Jesus’s disciples. There is much misinformation about her. The most common of these is that Jesus and Mary Magdalene were lovers. This was mostly speculated by the Gnostics, who relied very little on the actual Bible, but it is still perpetuated today, as evidenced by the works of Dan Brown. There is also speculation that she was a prostitute. Mary Magdalene is first mentioned in Luke 7:37-50 as the woman who anointed Jesus’s feet. We also know that she had seven demons possessing her (Luke 8:2). We also know that she is the first woman to see Jesus after his resurrection(Mark 15:40; Matthew 27:56; John 19:25; Luke 23:49). Mary Magdalene is often considered “The Apostle of the Apostles”. Women were second class citizens in Jesus’s time. However, Jesus did not concern himself over the status of anyone who needed his help. The Pharisees even accused him of being a drunkard. I find Mary an inspiring figure in the Bible. She exists to show us that we must not discriminate when spreading the word of God. We must share it with anyone, even those who are shunned by society. If indeed Mary Magdalene was a harlot, she would be scorned. That Jesus sees past these accusations and only sees a woman who needs his help shows that we must also adopt the same attitude.